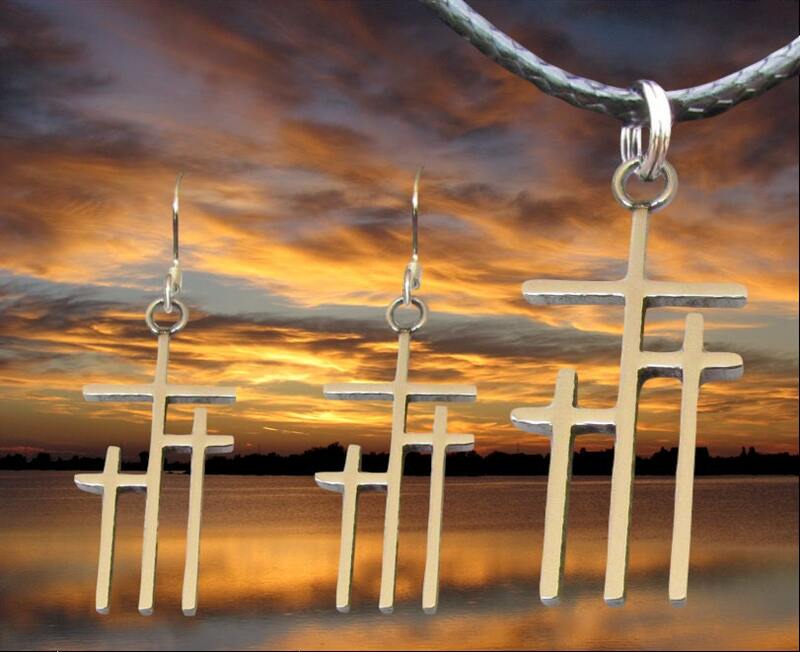 Stunning Set! 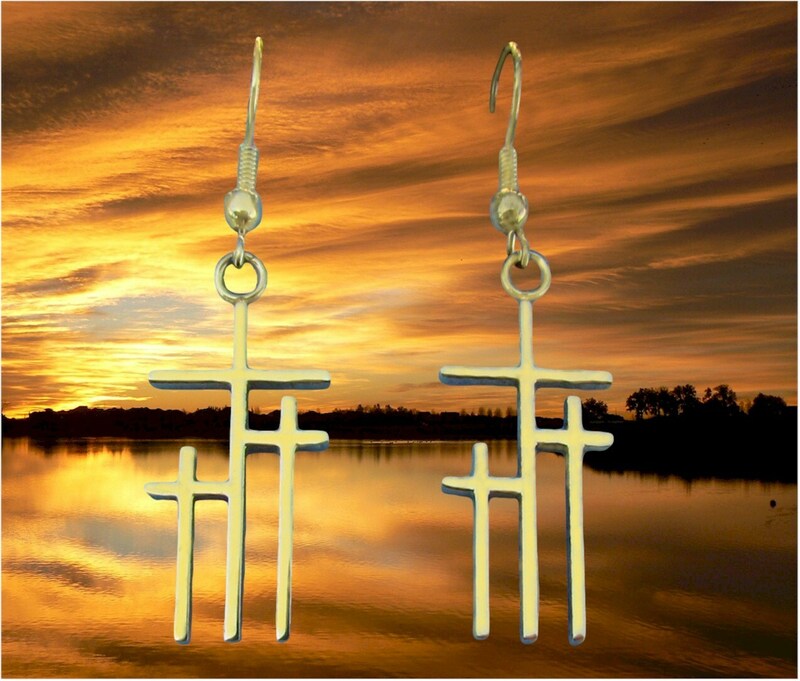 You will receive a Petite Stainless Steel Calvary 3 Cross Earrings and Medium sized 3 Cross Pendant (Medium is twice as large as Petite). 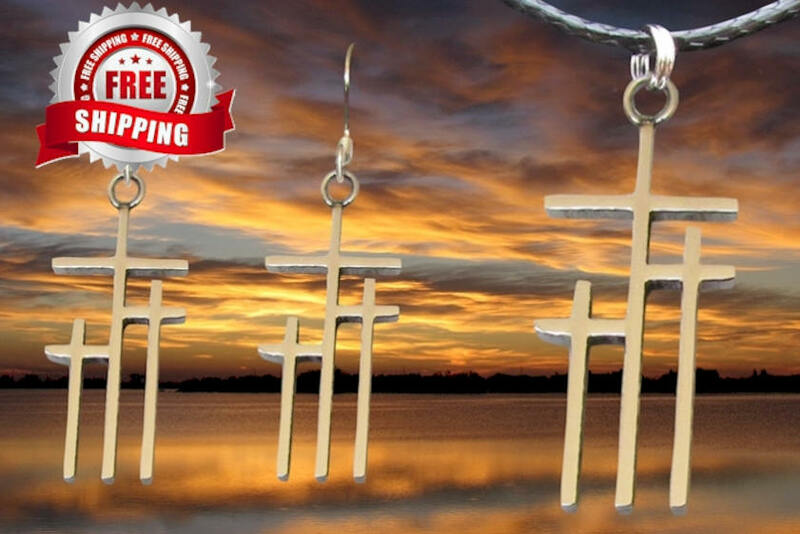 Available in all Silver or all Gold finish (14k Gold Plate over Stainless Steel). The High Gloss finish really stands out! 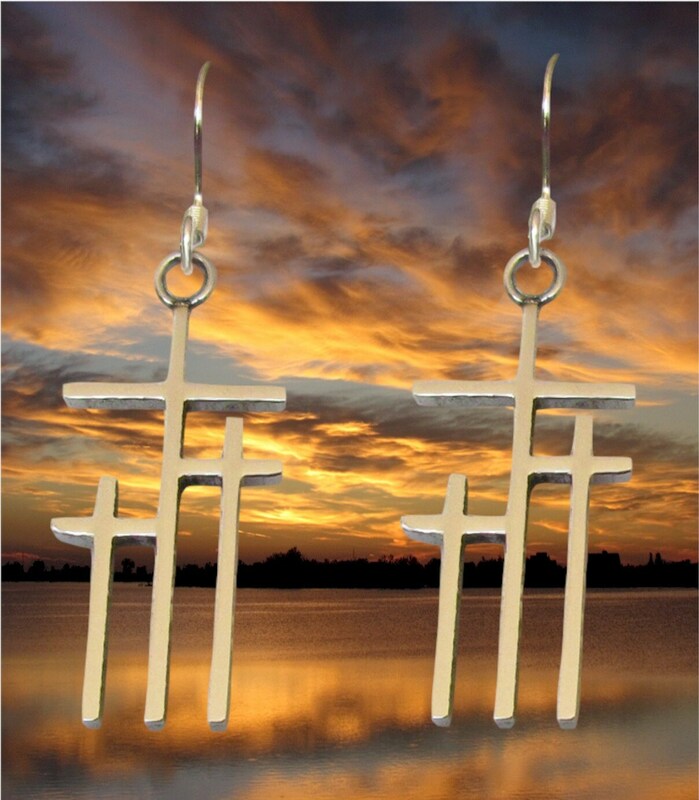 o The Petite 3 Cross Earrings measure 1 1/8” long x 1/2” wide (about the height of quarter). 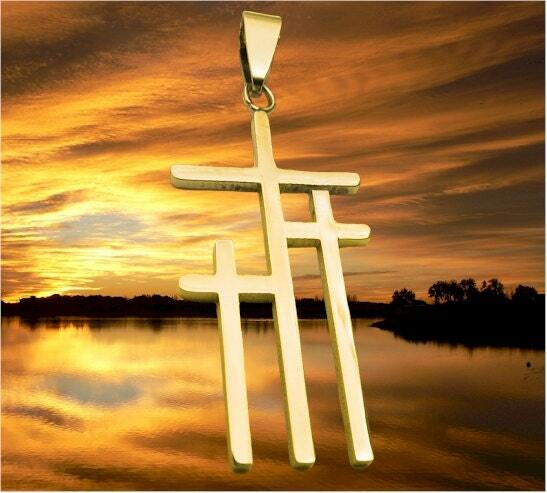 o The Medium 3 Cross Pendant measures 1 5/8" long x just 3/4" wide.